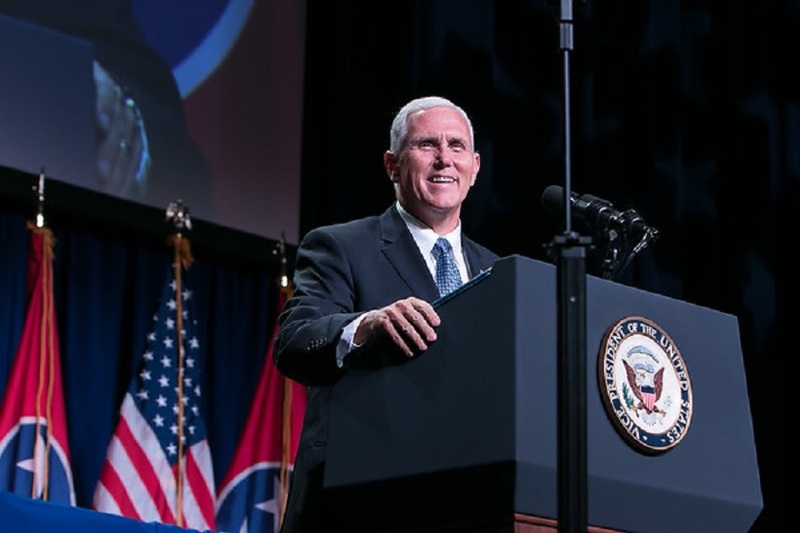 Vice President Mike Pence praised Rep. Marsha Blackburn (R-TN-07) and Rep. Diane Black (R-TN-06) during a speech he delivered at Lee University in Cleveland, Tennessee on Saturday. His wide-ranging 33-minute speech at Lee University addressed immigration, tax cuts, Supreme Court nominations, environmental rollbacks and chastised the “liberal left” before narrowing his message to tax cuts. U.S. Reps. Diane Black and Marsha Blackburn, who are both in tight statewide races, joined the vice president on stage to compliment the administration’s work. The vice president spoke highly of both candidates before turning his attention to Trump’s recent European trip. Pence called the trip a “success” despite the president being criticized by members of his own party for backing Russian leader Vladimir Putin over the U.S. intelligence community. Blackburn is the presumptive GOP candidate for the U.S. Senate seat being vacated by retiring Sen. Bob Corker (R-TN). Blackburn is expected to face former Gov. Phil Bredesen, who has no opposition in the Democrat primary, in the November general election. Black is one of four candidate vying for the Republican nomination for governor in the August 2 primary. Black is in a close race with Knoxville businessman Randy Boyd and Williamson County businessman Bill Lee. Recent polls show that a fourth candidate, Tennessee Speaker of the House Beth Harwell (R-Nashville) lags far behind. As The Tennessee Star reported earlier, a number of left wing students at Lee University tried to keep Pence from speaking at the school. The Vice President’s office sent out this tweet on Saturday after he landed in Chattanooga on his way to Lee University. An estimated 50 student protesters showed up at the Lee University event.